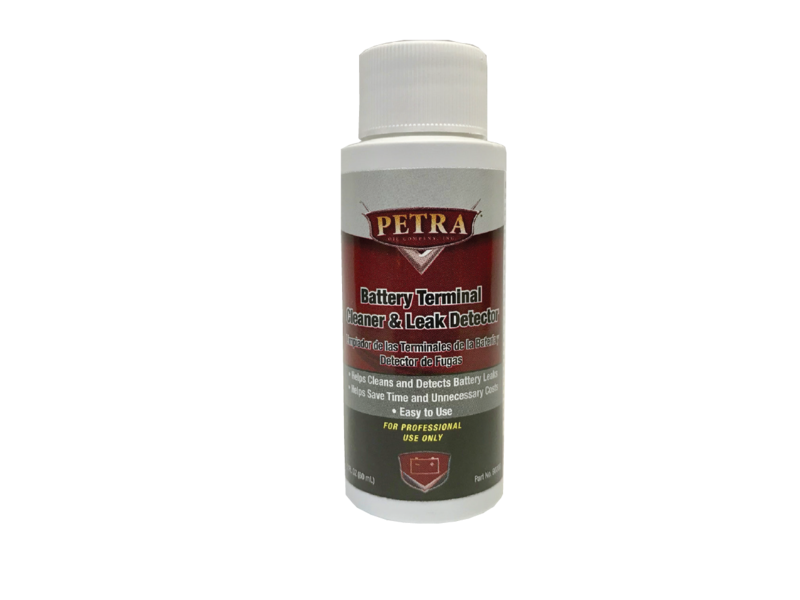 Petra Universal Battery Pads are formulated to prevent battery acid from forming on your vehicle’s battery post. Acid which causes corrosion can develop due to, but not limited to; time, battery leaks and heat/weather. When acid builds up it could cause corrosion. 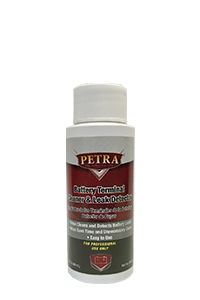 This product is designed to prevent the corrosion from forming on the terminal of the vehicle’s battery which could cause the battery to lose its charge, causing the vehicle to not start. 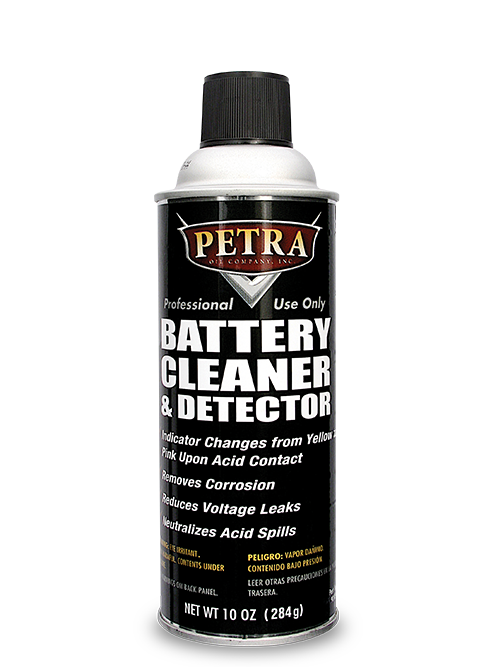 Petra Battery Cleaner & Detector is a quick acting, quick neutralizing, penetrating cleaner that dissolves corrosion and neutralizes acid instantly. It penetrates and removes battery acid and corrosion allowing for maximum current flow. Simply spray on and rinse off. 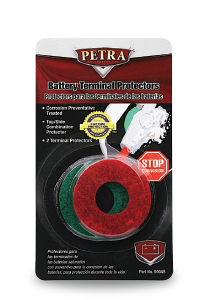 Excellent for cleaning terminals, cases, cables & hold-downs. Helps prolong battery life by reducing energy loss. Applications include automotive, marine, farm machinery and motorcycle batteries. 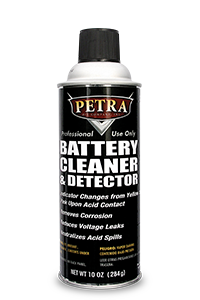 Petra Battery Acid Cleaner & Detector is a quick acting, quick neutralizing, penetrating cleaner that dissolves corrosion and neutralizes acid instantly. It penetrates and removes battery acid and corrosion allowing for maximum current flow. Changes color from pink to colorless in presence of acids, helping detect battery leaks. 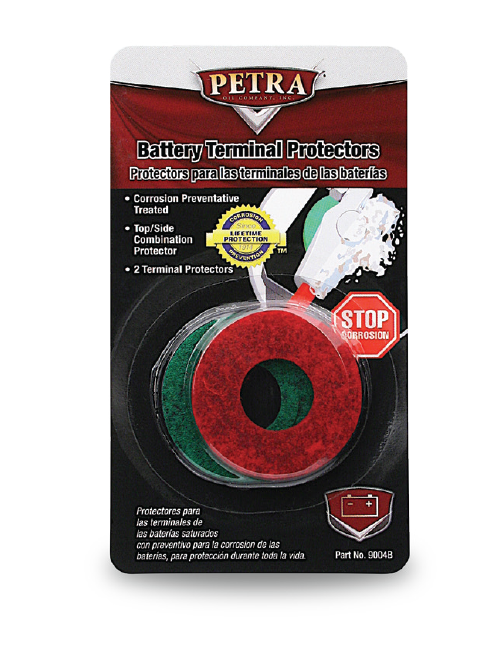 Excellent for cleaning terminals, cases, cables & hold-downs. Helps prolong battery life by reducing energy loss. Applications include automotive, marine, farm machinery and motorcycle batteries.